ASAHIKAWA, Japan -- Honda Motor Co.'s outgoing global r&d chief is blunt about Acura's challenge: It aims to be a global brand, but its U.S. engineers have little experience designing global vehicles. "Acura is an American brand," Yoshiharu Yamamoto said during a drive event at Honda Motor Co.'s nearby proving ground in northern Japan, just days before his retirement was announced by the company as part of a top management overhaul that included the ousting of CEO Takanobu Ito. Koichi Fukuo, the company’s newly appointed quality czar charged with fixing the problems, will be appointed new president of Honda R&D, the company said today. But during his recent interview, Yamamoto said if Acura doesn't evolve into a global brand, the marque's business model is going to "get tough." The problem: American engineers have tunnel vision for the gigantic U.S. market, while Japanese engineers for years have been designing cars with an eye to world markets. "America r&d looks at domestic America very well, but it seems it is still a bit difficult to make optimal models while looking at China, India and the rest of the world," Yamamoto said. "The Japanese market is small, and our carmaking has always had to think about overseas as the main markets," he added. "The American business is huge, and they look almost only at America." That may be a hurdle for Acura as executives in Japan and the U.S. grapple with how to establish it as a global premium brand. Most of Acura's lineup is engineered and manufactured in North America, but it was not always that way. The brand made waves when it was launched in 1986 as the first Japanese luxury marque. When Acura debuted, all its vehicles were assembled in Japan. Today, only the flagship RLX is built there. 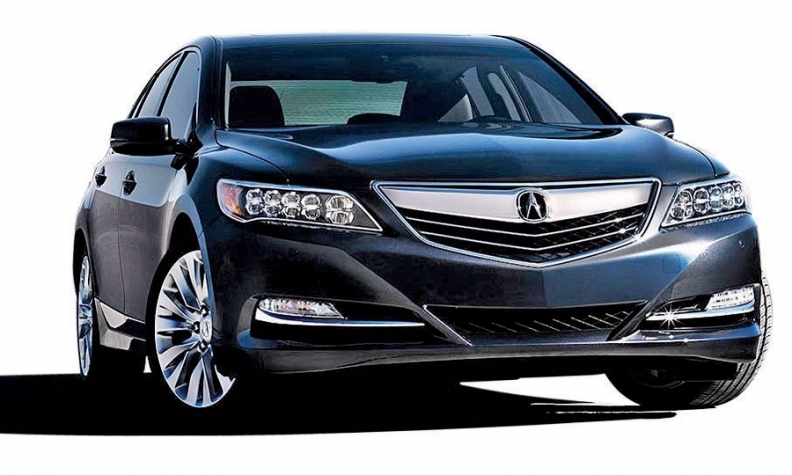 Only one Acura model is even sold in Japan: the RLX, badged as the Honda Legend. The U.S.-made NSX sports car eventually will be sold in Japan -- also with a Honda badge. "Though it started with Japanese technologies, after twenty and some years, now we consider it born in America," said Fukuo, who became global quality czar on Nov. 1 before his promotion today. Acura's 2014 global sales totaled 195,000 vehicles, down from a record 232,000 in 2005. North America accounted for 97 percent of the 2014 volume, with China pitching in 4,464 vehicles and another 1,173 coming from Russia, Turkey and Ukraine. Ironically, Acura has even less global reach than American-born premium brands such as Cadillac. Cadillac sales outside the U.S. and Canada in 2014 totaled 83,409. "Acura needs to follow Cadillac's strategy of introducing a performance vehicle that is considered revolutionary, but offer it at a price that is consistent with consumer perceptions of the Acura brand," said Eric Lyman, TrueCar's vice president of industry insights. Kelley Blue Book data show Acura buyers cross-shop Toyota, Honda, Ford, Nissan and Mazda more than any premium brands, underscoring the gap between Acura and its intended rivals. Acura aims to set up a channel this year targeting rich markets in the Middle East. The feeling in Japan, though, is that Acura needs better traction in its adopted home market to have any real shot overseas. "Unless we establish the brand properly" in America, Yamamoto said, "we think there will be no global deployment."